I have had the privilege of working with AvroKO, the James Beard award-winning design and architecture team and one of the hottest restaurant design firms in Manhattan - with influence and assignments around the world. 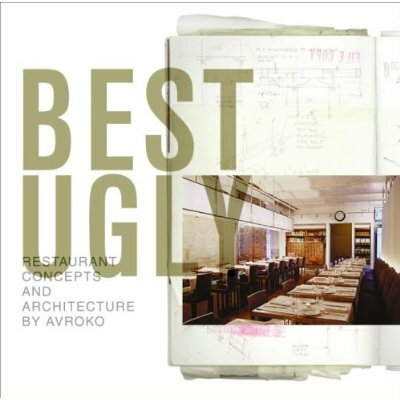 I was privileged to contribute to their book, Best Ugly, Restaurant Concepts and Architecture by AvroKo, printed by Harper Collins. In celebration of Coty¹s 100 year anniversary, in conjunction with corporate communications, Nadeau co-edited Coty, published by Assouline Publishing and written by Orla Healy. 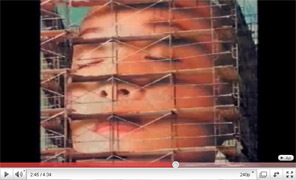 Designers, by nature, are obsessed with the surfaces and appearances of objects. 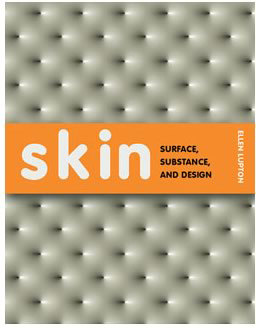 Maryland Institute College of Art graphic design department co-chair Ellen Lupton brought that idea together with the surfaces and appearances that almost everyone else on the planet is obsessed with for Skin, an exhibit at the Cooper-Hewitt, National Design Museum in New York and an accompanying book from Princeton Architectural Press. 001 Coty was a featured segment of the book and part of the exhibit. In the Wind: Something Very Sinister. All will be revealed. 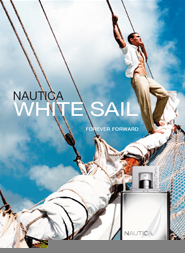 Target Release, 2012 ­ contact raymond@livingbrandslivingmedia.com for more details or interest. Professional inquiries welcome. Under Contract: Why Spa? What Spa? Where Spa?, Spring 2010, Quirk Publishing in conjunctions with A Healthy, Green Home. 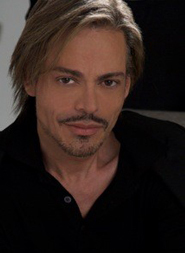 This video was created to predict trends for Coty Inc. 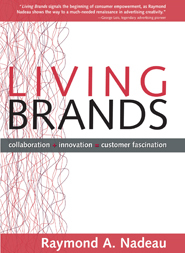 In it, you will see the foundation of many of the trends highlighted in the book: Living Brands, Collaboration + Innovation = Customer Fascination. Ironically, at the time, British Petroleum was differentiating itself based on its alleged eco-responsibility, proving that corporations, like consumers, must not only talk the talk, they must walk the walk in order to sustain continued credibility and growth.